Today we leave Spain and depart for Venice in Italy, “buongiorno”!! It seems that airports are becoming my breakfast venue but not by choice!! I stumbled on a gorgeous deli that sold delicious cured meats, they also offered…. wait for it………………….. BAGUETTES!!! 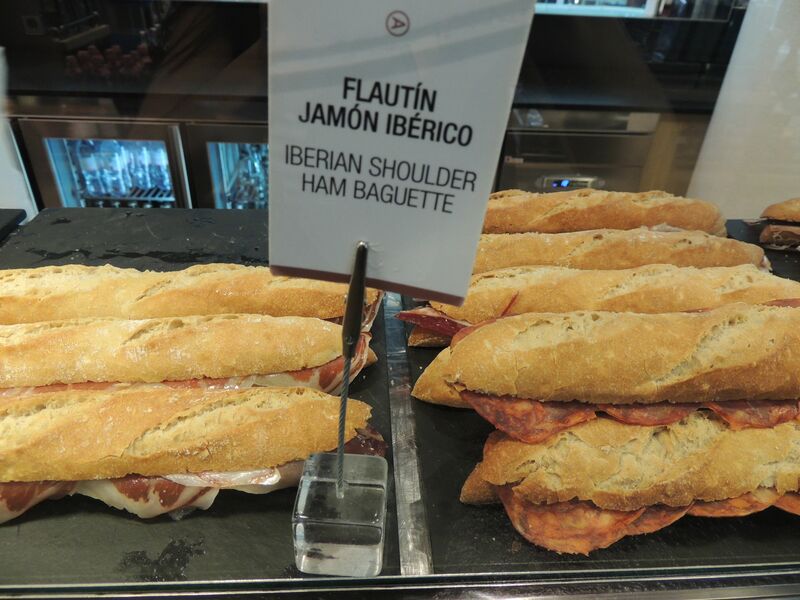 I discussed in yesterday’s entry, I was bagetted out but these looked so divine and fresh that I just had to order one, it seems I can run but I cannot hide from the tcrusty baguette!! After I devoured my delicious prosciutto baguette, it was time to board our plane but due to Barcelona’s massive airport, I had my cardio workout this morning running to catch the flight. It was a full flight from Barcelona to Venice, the boyfriend (Sean) and I flew with Vueling Airlines but strangely enough our seats were not next to each other. I was seated between two random people one being a man from Hong Kong who literally kept nodding off to sleep and each time getting closer and closer to me with his sleeping hanging head. Looking back this was funny but at the time I was very uncomfortable and gave him a little nudge resulting in him using the window as his pillow, thank goodness!! 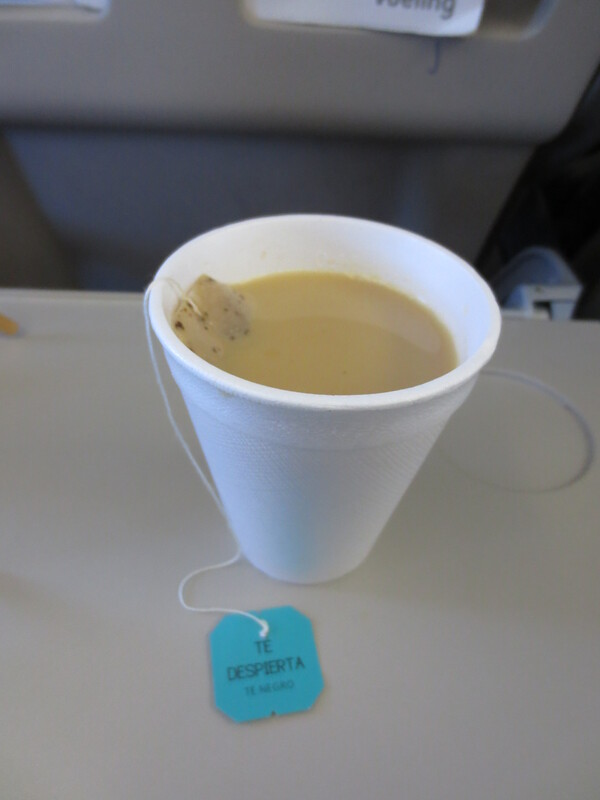 I then relaxed for the remainder of the flight and enjoyed a cup of tea!! I met Sean at the baggage collection in Venice. We waited patiently in front of the conveyer belt until everyone had removed their luggage and cleared the airport.. Suddenly, the conveyer belt stopped BUT where were our bags, surely this could not be another Quirky mishap. Sure enough it was as the airline had LOST our bags. I had managed to leave Barcelona without becoming a pick-pocket victim but did not anticipate my luggage getting lost by the airline!! So here I was in the most romantic city in the world with no luggage only wearing denim shorts, blue singlet top and sneakers!! Not the most romantic attire!! 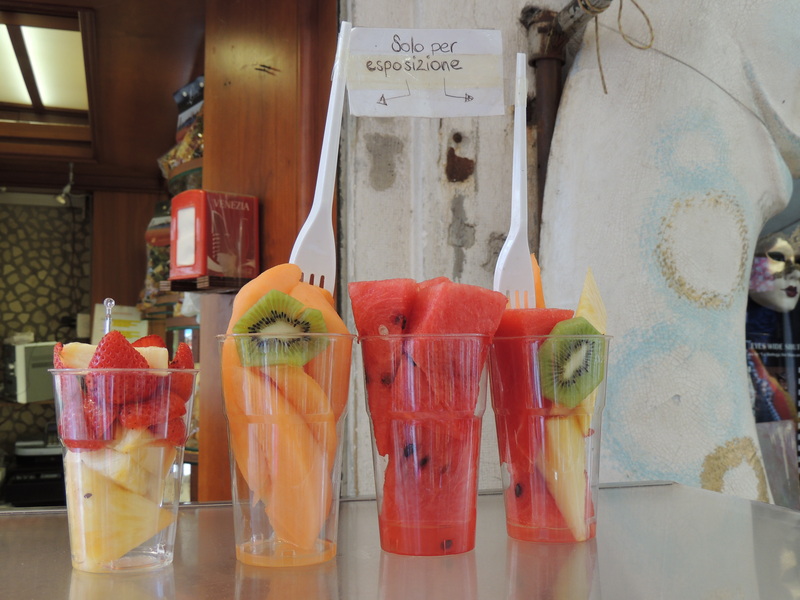 There is such beautiful produce in Venice, so much fruit salad and juices I love it!! They have Quirky snacks also!! 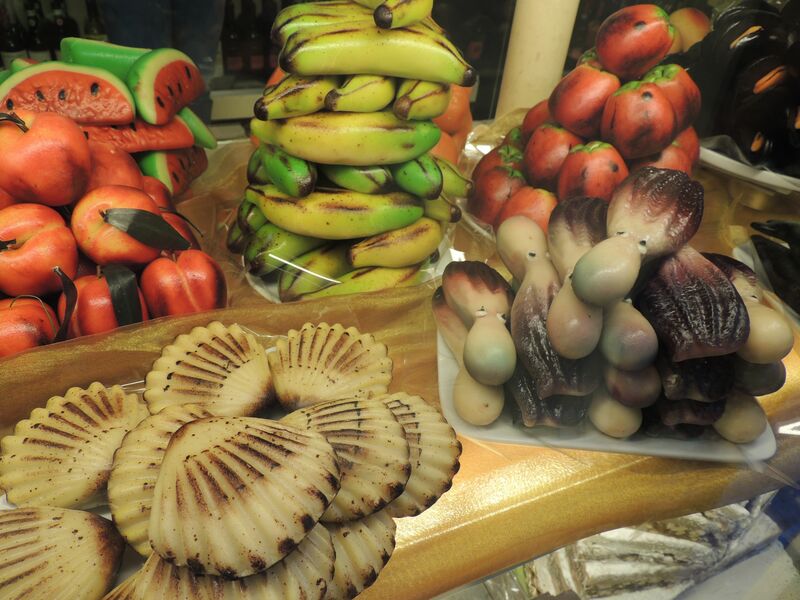 They had what looked like fruit but was actually a sweet treat made from marzipan! 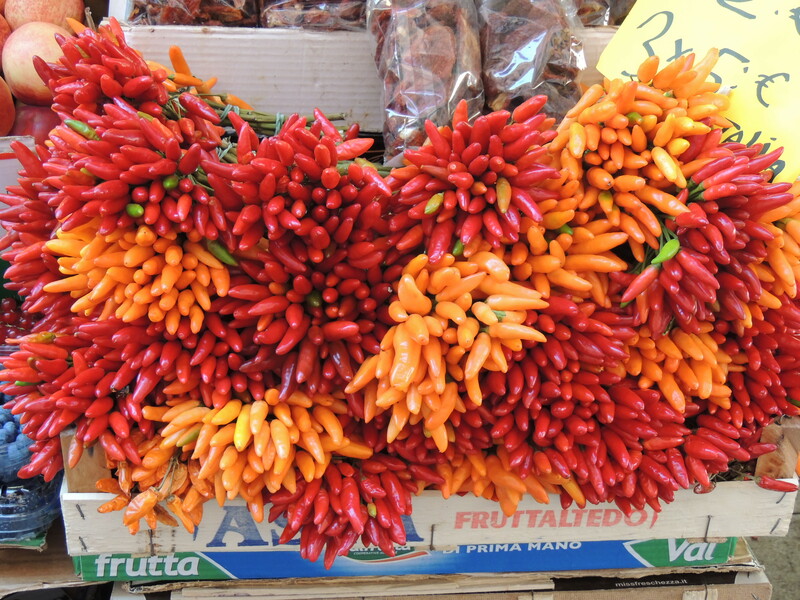 I love the chilli’s in Venice!! 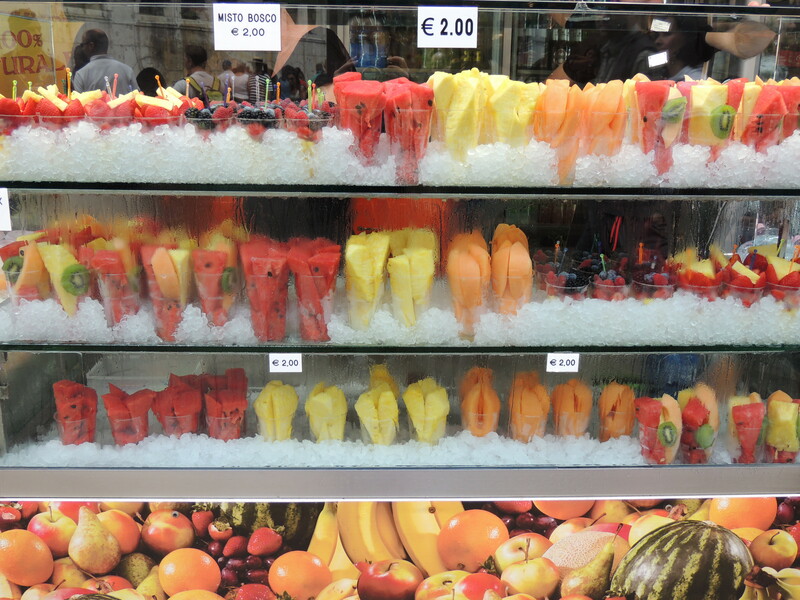 If only Australia would allow me to bring fresh produce back in to the country!! We went to an Italian restaurant tonight recommended by our bed and breakfast host called De Momo and oh my goodness it was delicious!! We got the ate the most delicious food tonight.. 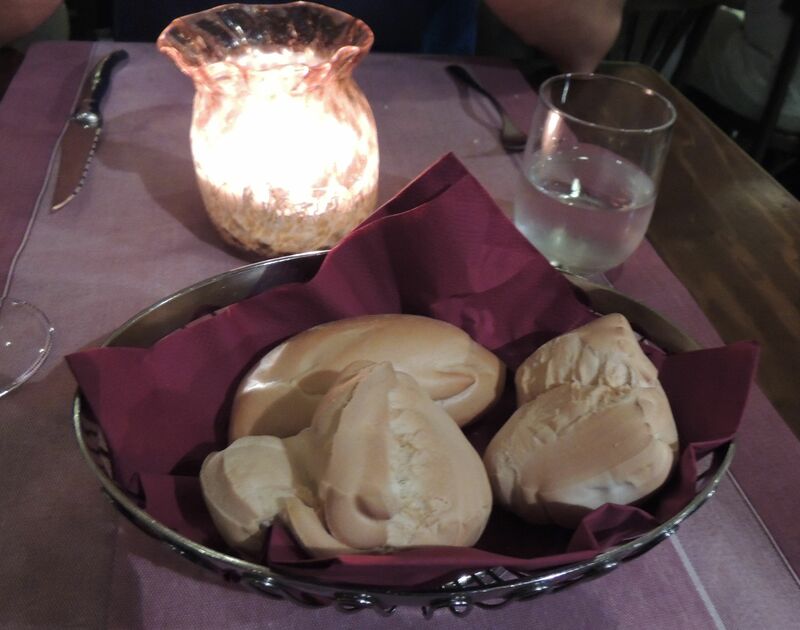 I was aiming to be bread free in Venice but when it was put on our table at dinner how could I resist!! 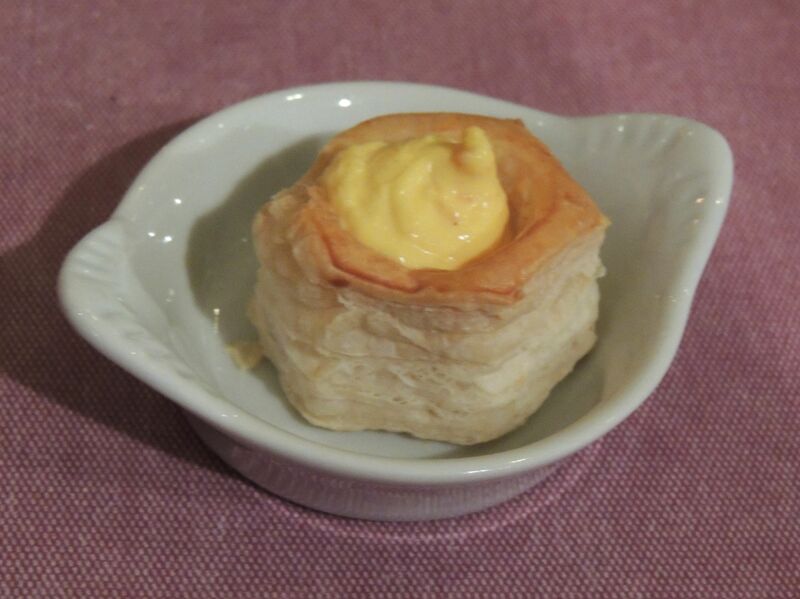 For a pre-started we received a complimentary mini vol-au-vent type dish with a type of cream cheese inside, it was very tasty!! 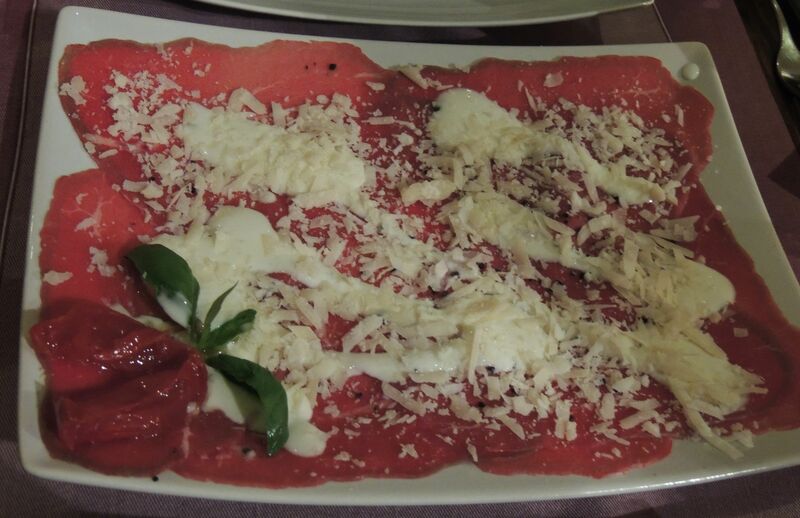 For starter we ordered the beef carpaccio and oh my goodness, not only was it clean, it tasted amazing and was like an explosion in my mouth!! It was drizzled with yoghurt and parmesan and garnished with basil and sundried tomatoes, so fresh and so clean!! The boyfriend strongly suggested I order the pasta seeing we were now in Italy however as I was on a massive carbohydrate overload, I opted for the fish and I am so glad I did!! It was delicious, a ten out of ten!! Sean tasted it and said it was a bit boring but it was far from boring, it had delious caper berries that I had never tasted, they were a cross between a caper and an olive so yummy!! 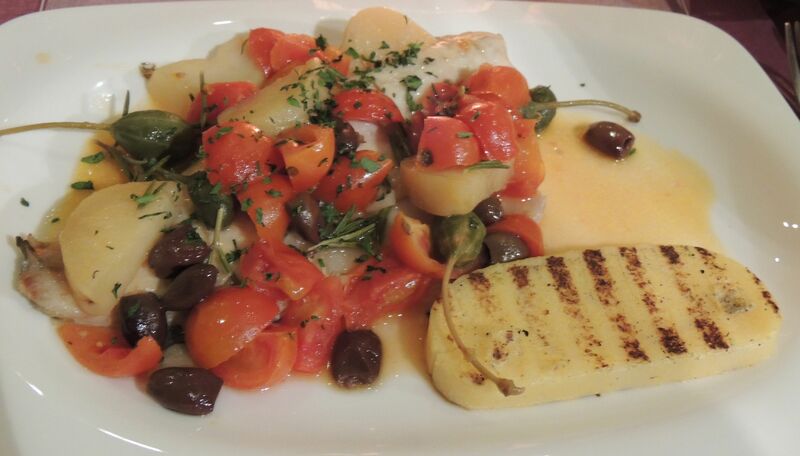 My tastebuds were in awe from this delicious clean cuisine!! Lastly we were given a complimentary chocolate for dessert and again YUM!! 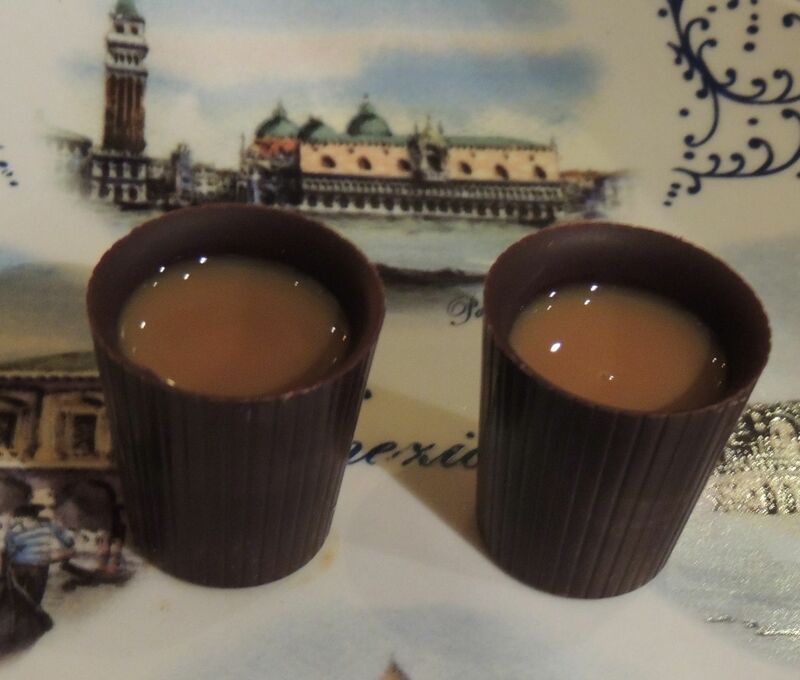 It was such great quality chocolate, it was a chocolate case that contained some type of liquer!! My dinner experience was fantastic, not only are my tastebuds satisfied but so is my Quirky health scale!! I think we got the Quirky trifector tonight! !